Below is a series of inevitably frequently asked questions meant to get you up to speed on this new version of the DCTP website. Where can I get a certain episode/manga chapter/movie? This website does NOT permit linking to any downloads of any English Detective Conan episodes, movies, manga chapters, or anything of the kind. We offer links to where these may be bought in local markets instead, where and if available. Additionally, in order to not have any negative effect on sales in Japan, we likewise do NOT permit linking to any Japanese raws. This content is not allowed on a site-wide basis, including on our forums and chatboxes. Who is allowed to contribute to this website? This new rendition of the website features news and article write-ups and translations by various community members. Content ranges from theory discussions to manga chapter, anime episode, and theatrical movie summaries to general news in and around the Detective Conan universe. How can I register for an account and comment? Creating your own account for commenting is very easy and can be done at the Register link at the top. Afterward, you can Login by the nearby button. Can I use my account from here on the DCTP Forums? At this time, you cannot use one account on both services. We intend to investigate solutions to combine accounts in the near future. Please stay tuned to the main page for updates. How can I be a contributor? Contributors are garnered from their contributions on the forums. Please post any meaningful Conan content there and, if suitable, you may be contacted to contribute to the website. Of course, please cite all sources to the best of your ability and give credit where it is due. Does DCTP maintain any social media accounts? We currently use two services to connect with fans on social media: Our Twitter account @dctpws and our YouTube account here. We do not have a Facebook page nor have we ever had one. However, several fans maintain DCTP-related Facebook pages if you are interested in connecting with them, though please bear in mind with we are not responsible for any content found on said pages. Where else can I discuss Conan with other fans? You are always welcome to join us on the DCTP Forums. Please read the rules before posting but rest assured we are very welcoming to newcomers. You can also use our chatboxes located on the main site to converse with other visitors. When does Conan air on television and where? Detective Conan airs on NTV/YTV stations in Japan at 6:00 PM local time. Most weeks out of the year are airings of brand new episodes, while others feature much older cases in remastered form and occasionally an airbreak in which another program takes its place. Outside of Japan, Conan airs in several countries regularly including in various parts of Asia, Europe, and South America. Check your local television listings for more details on local versions. As of October 2014, Detective Conan is available officially subtitled on Crunchyroll under its North American branding Case Closed. Watch episodes for free here on their website. When is the Conan manga released in Japan? The manga is serialized in the magazine Shounen Sunday and published weekly on Wednesdays. Gosho Aoyama sometimes takes breaks between certain cases and files, which leads to no Conan file being included in some issues. These manga chapters, known as “Files”, are then collected four times a year into volumes. When are new Conan movies released and when can I see them if I’m not in Japan? A new Detective Conan movie is an annual event in Japan and always comes out during Golden Week, which places the movie premiere date in mid-to-late April each year. The movies are then released as rentals (an industry standard practice in Japan) about a half-year later in September/October, and then released to retail around November. As of the past few years, Conan movies have been shown theatrically with subtitles in numerous Asian countries shortly after their Japan premieres, including in Taiwan, Thailand, Malaysia, and Singapore. The movies are typically released later in the summer in territories outside of Japan. 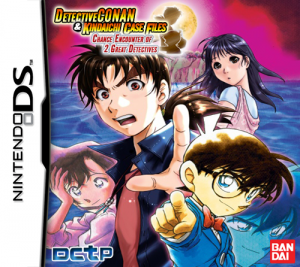 Who releases Detective Conan abroad? The series is licensed to many different production companies around the world, often to different entities for manga and anime even in the same country. With regard to North America, Detective Conan has been retitled “Case Closed” and in anime form is licensed by FUNimation Entertainment, while the manga is licensed to VIZ Media. FUNimation Entertainment has not released new episodes or movies in some time as of this writing, but VIZ Media continues to publish a new manga volume once every four months. As of 2014, Crunchyroll now simulcasts the latest episodes with subtitles. Where can I purchase Conan locally? This varies depending on your location. 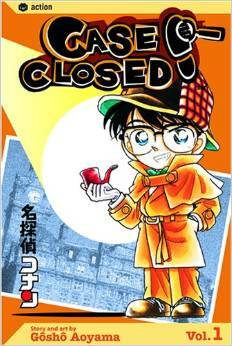 In North America, Detective Conan (Case Closed) is available from most of the expected retailers. The latest manga volumes can be purchased and pre-ordered online from various outlets, including Amazon.com, on which it is offered in both paperback and digital editions. For more information on purchasing Conan manga and anime, please see our Buy Conan page.